These days there are a seemingly infinite number of beer styles and additives. Pineapple, oysters, heather, whiskey, and chocolate are just a few of the things popping up in your pints. Brewers are continually pushing the boundaries of what defines a beer and the materials they use- including harvesting yeast from beards. But these aren’t the only brewers to find inspiration from things found on, (or as we shall see) in, the human body. Today is the story of Hathor and her blood beer. Hathor was ‘a most important bovine goddess worshiped in three forms, as a woman with the ears of a cow, as a cow, as a woman wearing a headdress consisting of a wig, horns and sun disc’. 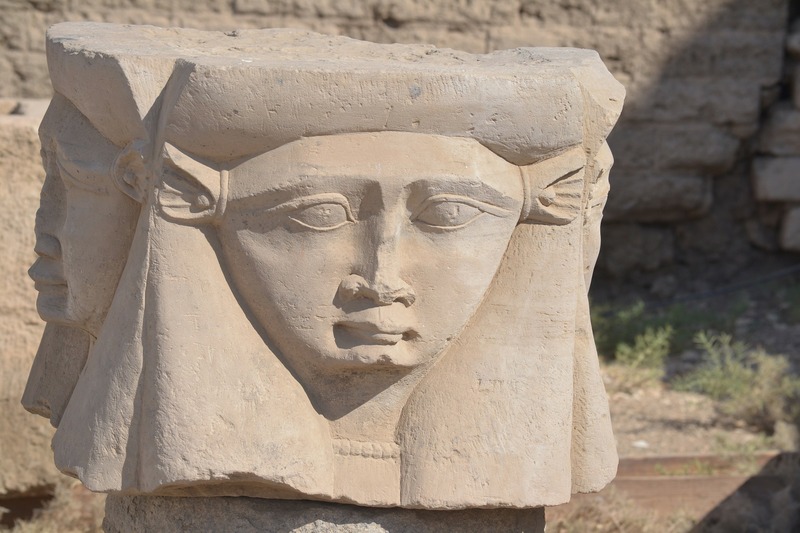 According to Hornsby her cultic centres were among the most numerous in Egypt and she was also often depicted with Menqet, a minor goddess, who is known as the ‘goddess who makes beer’. Hathor features prominently in the Destruction of Mankind linked in its entirety and dating to the New Kingdom c. 1570-1069 BCE. Here she is in the form of the goddess Sehkmet, a literal blood thirsty warrior. According to the tale, the god Ra grew weary of humanity and their propensity for wickedness and stupidity. In response he releases Sekhmet aka Hathor to destroy them, and she slaughters and consumes the blood of town after town. However, after a while it occurs to Ra that if she kills everyone, there will be no humans left to worship him…ergo bad. First he tries to reign her in, but at this point she is so consumed with this blood lust that she has zero desire to end her annihilation. Ra hatches a plan to dye a bunch of beer red in order to trick her into consuming it, which she does thinking it’s blood. She falls asleep and wakes up back to her old self as Hathor, the kinder, less murdery apocalypse, goddess. Ian Hornsby, History of beer and brewing, p. 64.